With over 700 million users across the globe, a significant chunk of the world’s digital audience is on Instagram, but the question is, are you? 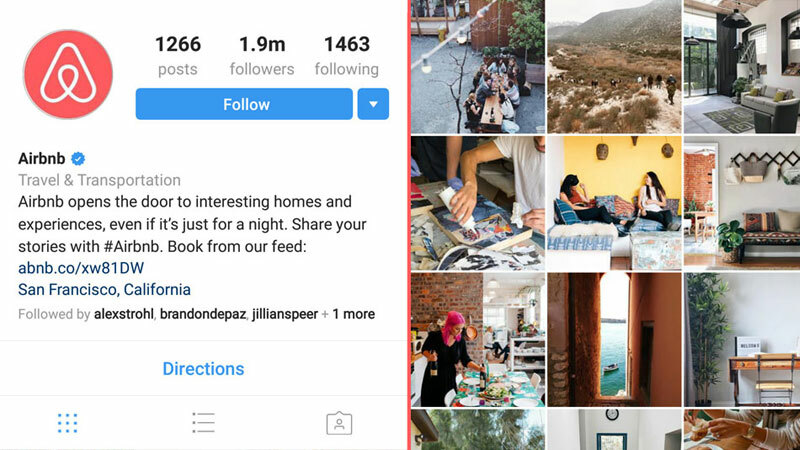 Today, there are more than 8 million business profiles on Instagram, and brands, big and small, are now in awe of the platform’s superiority as a marketing tool. Instagram marketing is so simple, yet so many fail to make the most of it. The answer about how to truly harness the full potential through Instagram marketing with a business profile lies within hashtags, and using them wisely. Hashtags enable your audience to find you, and you to find them. It’s complexity is due to its simplicity, and most brands fail to see how important hashtags on Instagram are. A hashtag is more than just a means of locating an Instagram post from the endless stream of images and videos that are posted on the photo sharing platform, every single day. A well thought hashtag has the potential to form an identity with users and make sure your brand stands out. Lifestyle brand, Louis Vuitton possess one of the most followed brand accounts on Instagram with more than 17.3 million followers and also enjoy immediate recognition through their brand hashtag, #LV and #LouisVuitton, both of which yield a plethora of results that display their products, held, worn or perched atop designer tables in elegant surroundings. Therefore, associating your brand or business with a hashtag that immediately pops up in the minds of your audience is one of the key factors that ensure your brand name, and content reaches the maximum amount of people. Not just with the content you post, but when you encourage your audience to include a hashtag that represents the identity of your brand, it develops a user generated library of content that audiences trust way more than they trust a brand ‘tooting their own horn’ as they see it. As per a research from Nielsen, more than 83% of respondents said they trust opinions from friends and family, and take actions based on these opinions at least once. Seeing people like them, their friends or followers on social media, use products or services is a testimonial that they trust much more as compared to advertisements and promotional posts. 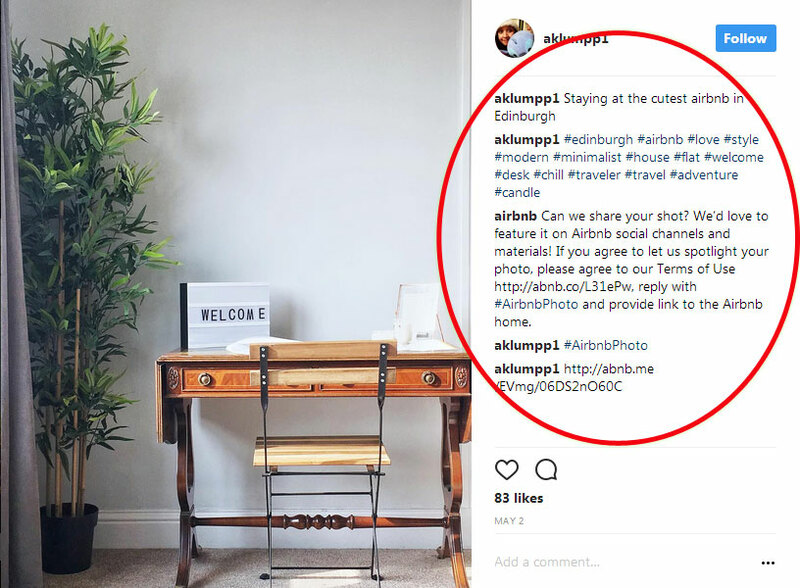 Another such example is online hospitality and space renting service, Airbnb, who regularly curate and repost some of the best images of Airbnb rooms and spaces shared by their customers on Instagram. It works wonders for the brand in the positive word-of-mouth and recommendation categories, in addition to the visually appealing images that speak for themselves. 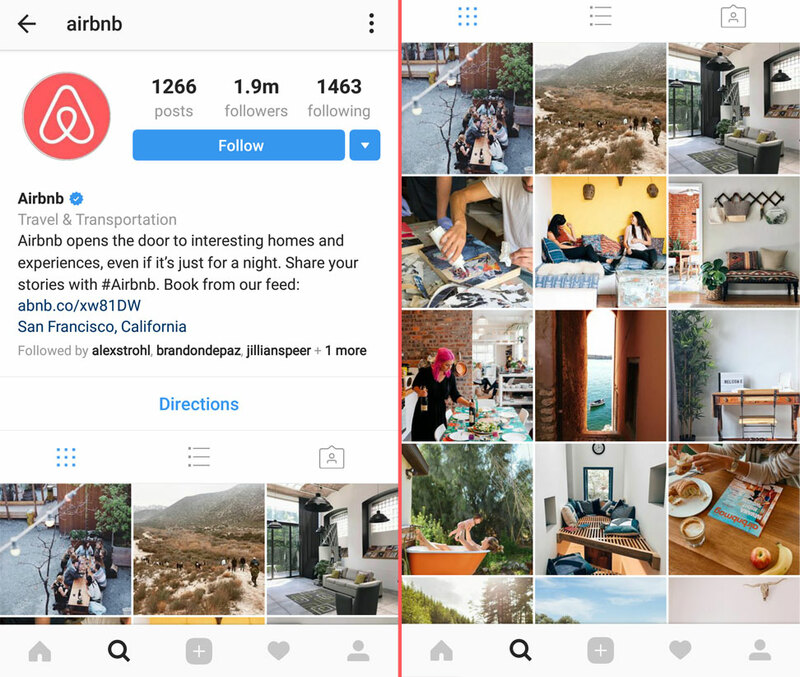 The #Airbnb hashtag has generated over a million posts on Instagram which reflects how the company have successfully nailed their Instagram marketing by simply capitalizing on the popularity of the hashtag. Secondly, tapping the right audience is key when it comes to harnessing the full potential of Instagram marketing through hashtags as they clearly define and refine your audience based on hashtags. For a restaurant, hashtags such as #foodie #foodporn or #foodgasm are extremely popular and you can effectively target the right people by using them. 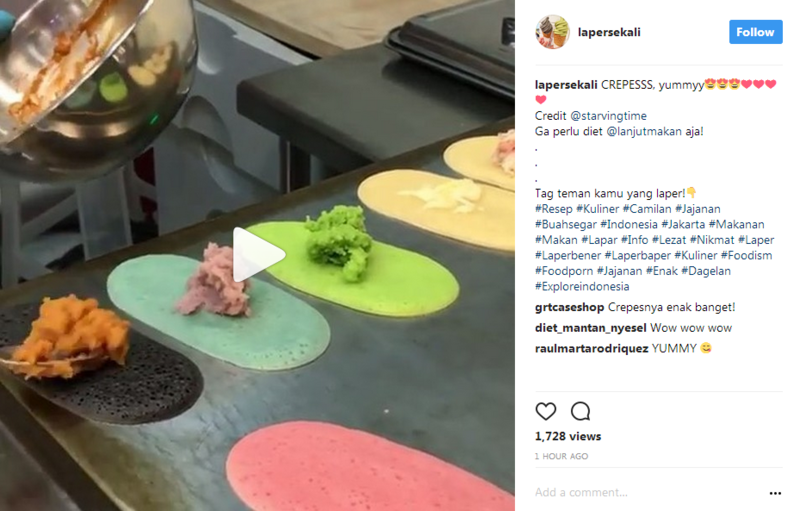 This way, your brand can reach as many Instagram users who are interested in food, cuisines, and recipes, such as food bloggers and the end consumer, connecting with both of whom can do all sorts of good for your brand. You can choose to work with food bloggers, and further reach their audience too, and secondly, you can interact with your consumers with your content. For example, circling back to the first point, curating and reposting user posts first requires you to find the right images from the right people. This interaction endears your brand to a consumer and helps you grow your follower count. Lastly, hashtags can also help your brand drive website clicks and sales through contests on Instagram. By using the right hashtags such as #contest, your announcement posts are bound to get noticed. You can redirect your followers to your bio, which is the only place Instagram allows links to be posted, and drive website visits through the allure of contests and prizes. 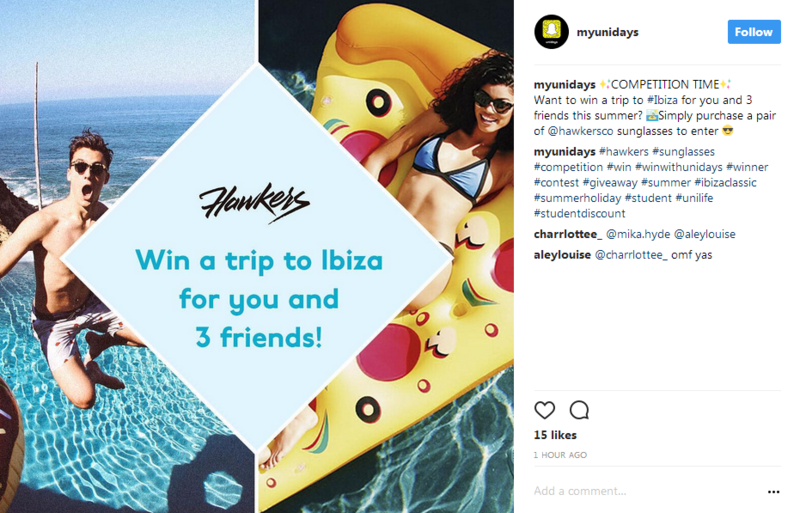 MyUniDays just organized an Instagram contest that simultaneously drives sales for their partner, Hawkers and their product, in this case, a pair of sunglasses. There you go! You can boost your brand’s Instagram marketing impact with these simple yet effective practices based on the astute use of hashtags that will maximize reach and help you form a connection with your Instagram audience.